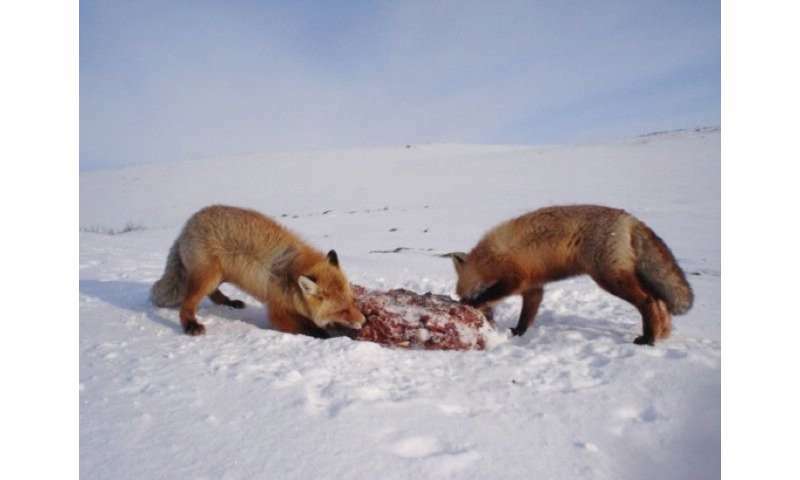 This finding is important because populations of large mammalian carnivores are declining as habitat is lost, and often where large carnivores disappear, a chain reaction is set off that affects smaller carnivores, prey species, and even plant and insect communities. "Large carnivores are imperiled," said David Miller, associate professor of wildlife population ecology, Penn State, whose research group in the College of Agricultural Sciences led the study. "We were able to see that this finding, with large-bodied-carnivore species, held around the globe." 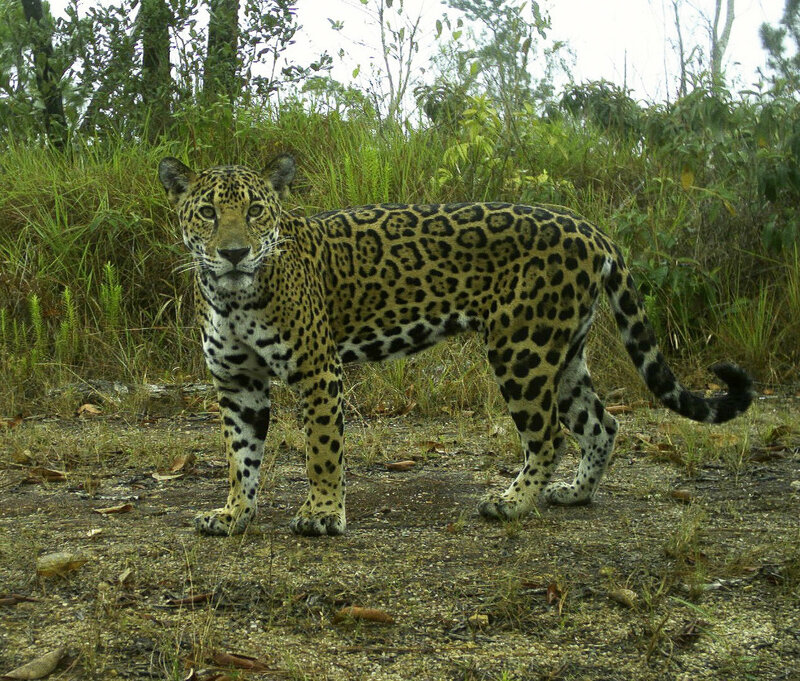 Camera traps—sites watched over by automated cameras, often called trailcams—allowed researchers to better understand how carnivore communities are structured. 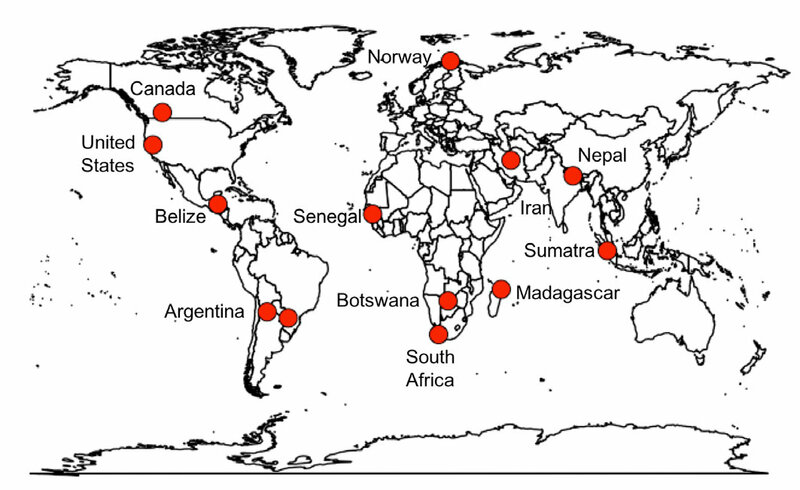 They analyzed camera trap data for 108,087 trap days across 12 countries spanning five continents, and estimated local probabilities of co-occurrence among 768 species pairs from the order Carnivora—meat-eating mammals ranging from weasels to polar bears. Researchers evaluated how shared ecological traits correlated with probabilities of co-occurrence. Within individual study areas, species pairs co-occurred more frequently than expected at random. Co-occurrence probabilities were greatest for species pairs that shared ecological traits including similar body size, temporal activity pattern and diet. However, co-occurrence decreased as compared to other species pairs when the pair included a large-bodied carnivore. Those results suggest that a combination of shared traits, and top-down regulation by large carnivores shape local carnivore communities globally, Miller pointed out. "This finding, that large carnivores exclude other carnivores, is true in North America, South America, Africa, Europe and Asia. It is really important for understanding why losing big carnivores is ecologically devastating," he said. 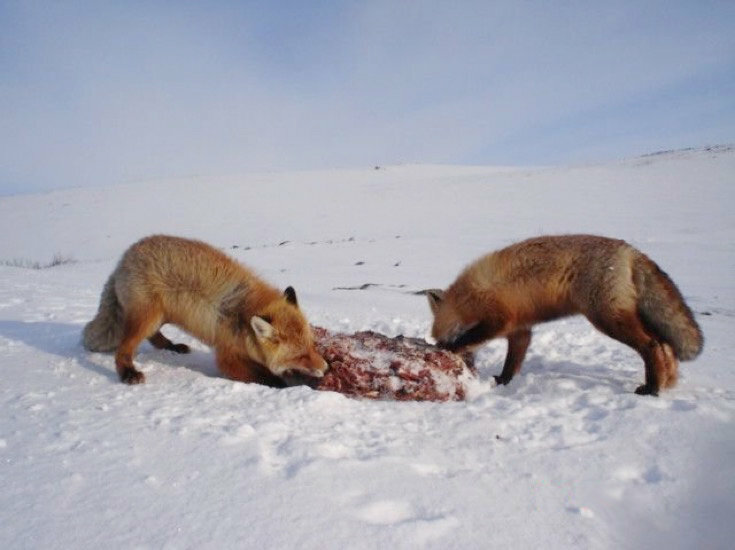 "When you lose a large-bodied species of carnivore, you have other smaller carnivores increase in density, putting pressure on other smaller carnivores, and that can lead to increases in prey species—which might then lead to degradation of plant communities." An example in the United States that Miller cited is the disappearance of wolves and cougars in the East. Those carnivores were critical for regulating the number of deer and controlling where other carnivores occurred, he explained. And now that they are gone, it has opened up vast areas where coyotes and bobcats roam unregulated by larger carnivores. "Coyotes and bobcats are preying on different animals then wolves and cougars would, and that has implications for how our forests are structured. The fact that we don't have wolves and cougars means we have more deer, and those deer have overbrowsed the forests," he said. "And having more coyotes—because they don't tolerate foxes—results in fewer foxes, which means we have more mice in our fields and forests," he continued. "That is affecting the prevalence of Lyme disease spread by ticks that spend much of their life on certain mice. So you see, the way these carnivores compete and co-occur has implications for all of our wildlife communities." Many of the animals photographed in this study—published recently in Ecology Letters—are the charismatic species that people think of in Africa—lions, cheetahs, leopards and hyenas—noted lead researcher Courtney Davis, a fourth-year doctoral student in ecology. But, she pointed out the research involves many more species than those well-known carnivores, using a robust data-set pulling together data from wildlife scientists all over the world. She noted that the research concentrates on interactions between species. "We looked at what sort of factors, not environmental factors, but more traits of the species that might either increase or decrease the probability that any two species will co-occur at the same site," Davis said. "We focused on things like body size, temporal activity patterns, sociality of the species, and tried to understand how patterns of co-occurrence were related to whether or not they shared different ecological traits." Trailcams have revolutionized the study of carnivores, Davis said. 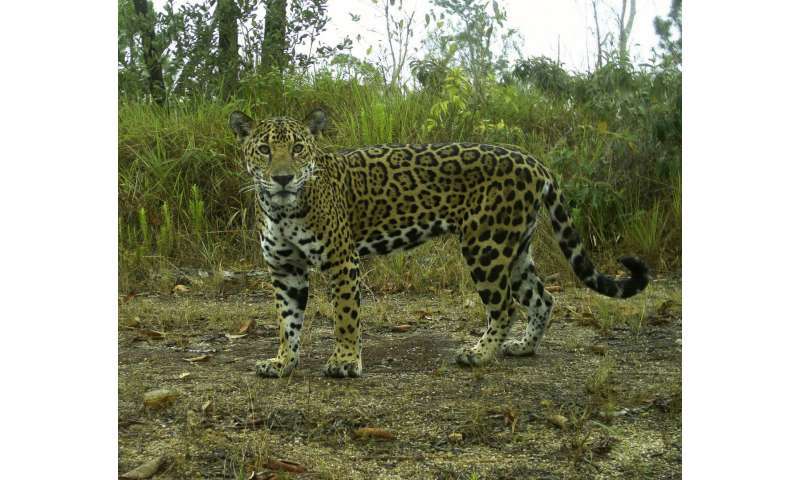 With the very low density of carnivores on the landscape and wide territories, monitoring their movement and behavior previously had been difficult and expensive. Researchers around the world often use the same models of cameras used by hunters and sportsmen. Though this research did not include a Pennsylvania component, if it was done again today, it would, Miller said. Penn State doctoral student in ecology Asia Murphy has been conducting a camera-trapping study of Keystone State coyotes, bobcats and bears for the last two years. Murphy did contribute to the original international project. She participated for two years in a Virginia Tech camera-trapping effort that focused on carnivores in Madagascar's Makira National Park.